When this majestic animal goes out for a walk, it is like architecture in motion leaving a steel cathedral. 50 passengers can embark on an amazing journey. Once aboard, you will see the moving gears that power the legs. A machinist will tell you stories about the elephant and have it blast its trunk for your pleasure. 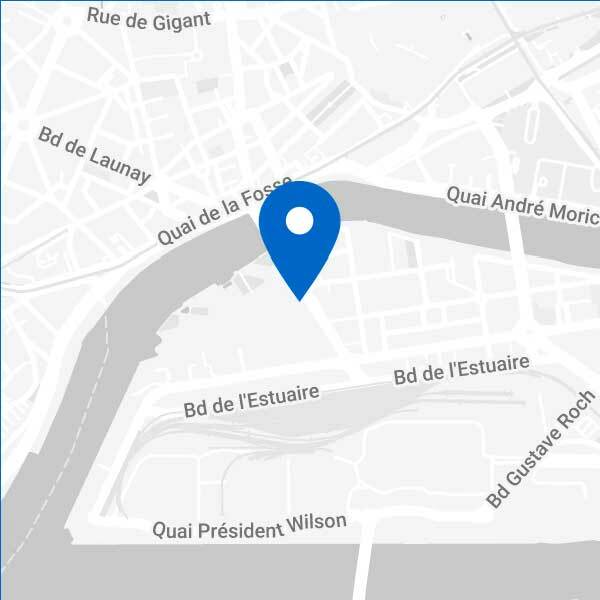 Being on the back of the Grand Éléphant is like being on the 4th floor of a travelling house, with a breathtaking view of the former shipyards. 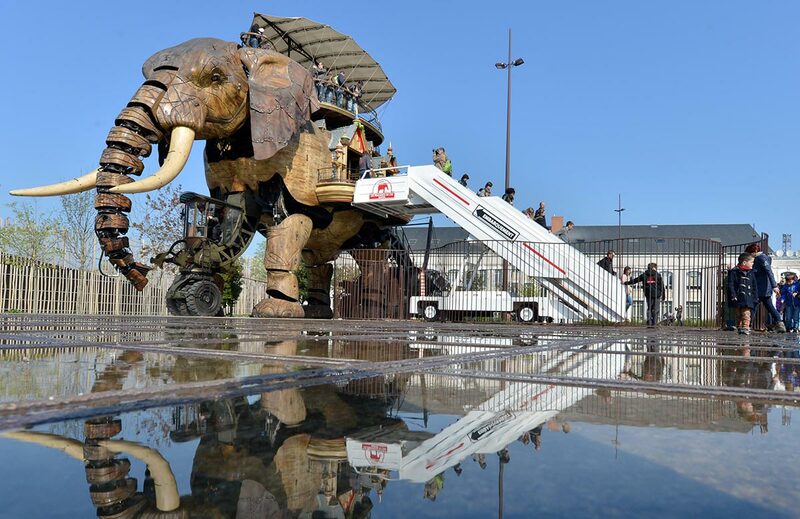 In February 2018, after few months of maintenance, the Grand Éléphant became more silent than ever, with a new hybrid motor. The world’s first eco-friendly mechanical pachyderm! Operation to the Grand Eléphant is subject to weather conditions. Metal body lubricated with 2,500 litres of hydraulic oil. Set in Motion using 62 cylinders, 46 of which are hydraulic, 6 pneuMatic and 10 gas-powered. Why not take public transportation, with TAN? into the future and beyond!